Death-Notice* 16 Oct 1926 MESSENGER.-On the 14th October, at Upper Beaconsfield, Frank, the beloved husband of Annie Messenger, late of Allambee road, East Camberwell. MESSENGER.-On the 14th October, at Upper Beaconsfield, Frank, the beloved husband of Annie and the esteemed friend of J and E Kerrigan and family. Funeral to leave his residence, Upper Beaconsfield at 4 o clock THIS DAY (Saturday, the 16th October). [S1] Registry of Births Deaths and Marriages Pioneer Index Victoria 1836-1888 "#B28022." [S4] Registry of Births Deaths and Marriages Great War Index Victoria 1914-1920 "#M6038." [S5] Registry of Births Deaths and Marriages Death Index Victoria 1921-1985 "#D12780 age 41 [par Joe MESSENGER & Isabel MORROWS]." [S11] Newspaper - Argus 16 Oct 1926, p17. 4-039-A Messenger Annie Emberson F 14/07/1956 1371. Note* a 28 Jan 1922 "Roy went to the first world war. He (Robert 3rd) carried on Hayball Bros. business in Bay St., after his father and uncle William's deaths. He bought his cousin (William Robinson's - Robin) Hayball's share. "….. Later, Roy [ie Robert Hayball "the third"] was getting too old to manage the timber yard. There was no-one to hand the business to. It was sold to Monkhouse." Death-Notice* 24 Sep 1958 HAYBALL.-On September 20, at the Repatriation General Hospital, Heidelberg, Robert (Roy), of 19 Carpenter Street, Middle Brighton, loved husband of Mabel Victoria, loved son of the late Robert and Margaret. Rest after weariness. Privately cremated. HAYBALL.-On September 20, at Heidelberg Repatriation Hospital. Roy, beloved uncle of Mavis. Loving memories. (a) The PURCHASE, as a going concern, of the BUSINESS (Including the Timber Yard, Sawmill, Ironmongery, Firewood, and Coal Businesses) and the trade names and goodwill of "Hayball Bros." and "The Brighton Steam Sawing, Moulding, and Planing Mills" and the land upon which those businesses are carried on, situated in New street, Brighton, and which comprises all that piece of land being part of Dendy's Crown Special Survey, parish of Moorabbin, County of Bourke, having a frontage of 225ft. 4in by a depth through to Wright street, as shown on the plan annexed to the conditions of tender hereinafter mentioned, and thereon coloured red, together with the buildings and Tolley, and the machinery and plant erected and being thereon. Title Certificate. Stock, to be taken at a valuation. (b) The PURCHASE of the MACHINERY, BUILDINGS, and PLANT now in and upon the premises of Hayball Bros., New street, Brighton, together with the land, being, part of Dendy's Crown Special Survey, having a frontage of 55ft 4in. to New street, Brighton, by a depth through to Wright street, as shown on the plan annexed to the conditions of tender hereinafter mentioned, and thereon coloured red, with the trade names and goodwill of the businesses, now carried on by "Hayball Bros" and "The Brighton Steam, Sawing, Moulding, and Planing Mills," with a right of carriage way over the road 50ft wide, shown on the said plan, and together with the buildings and other erections on the land other than Tolley's cottage ond appurtenances and the brick wall erected on the southern boundary belonging to Hayball Bros., and situated on the southern portion of the premises above referred to for removal within 3 months after delivery of possession. Title Certificate. Stock to be taken at a valuation at time of sale. Conditions of tender and particulars of machinery and plant, together with balance-sheets for the last 12 months, can be inspected at the offices of Messrs Wisewould, Duncan, and Wisewould, and Hayball Bros, New street, Brighton, inspection of the stock, machinery, plant, and premises may be had at any time by arrangement with Hayball Bros. Telephone No . X1088. A deposit of £15 per cent, in cash or by bank cheque must aqcompany each tender. Tenders to be lodged at the office of Messrs.Wise would, Duncan, and Wisewould, 408 Collins street, Melbourne. 14 Mar 1936, SILVER WEDDING. [S50] Miscellaneous Source, Alexander Sutherland, Victoria and its metropolis : past and present 2 v. (Melbourne : McCarron, Bird, 1888). [S2] Registry of Births Deaths and Marriages Federation Index Victoria 1889-1901 "mother Elizabeth Margaret JENNETT." [S3] Registry of Births Deaths and Marriages Edwardian Index Victoria 1902-1913. [S11] Newspaper - Argus 13 May 1911, p13. [S29] Nominal Roll, Australian War Memorial - WWI. [S185] Property Titles. ; PROV (Public Records Office Victoria), C/T 5467-311 - Robert Hayball of 32 Orchard Street North Brighton Timber Merchant - C/T 5553-527. [S185] Property Titles. ; PROV (Public Records Office Victoria), C/T 5757-393 - Olive Henrietta Lander of 27 Cooper Street Essendon Married Woman. [S185] Property Titles. ; PROV (Public Records Office Victoria), C/T 3199-744 - Robert Hayball of 32 Orchard Street North Brighton Timber Merchant - C/T 5757-393. [S185] Property Titles. ; PROV (Public Records Office Victoria), C/T 5553-527 - William (John) Lang of Emerald Road Beaconsfield Upper Transport Driver. [S16] Newspaper - The Age 24 Sep 1958, p25. [S122] Electoral Roll for Australia, 1922. [S124] Electoral Roll for Australia, 1924. [S11] Newspaper - Argus 28 Jan 1922, p10. [S11] Newspaper - Argus 7 Dec 1922, p3. [S11] Newspaper - Argus 2 Nov 1923 p16. [S11] Newspaper - Argus 14 Mar 1936, p17. [S14] Newspaper - Canberra Times, 20 Jan 1943, p3. 30 Mar 1899, WEDDINGS. MR. SYDNEY CASEY TO MISS VIOLET REID. A CHARMING wedding was celebrated on 22nd March at All Saints' Church, St. Kilda, when Mr. Sydney Casey, youngest son of the late Dr. Casey, of Brighton, was married to Miss Violet Reid, youngest daughter of the late Mr. J. Reid and Mrs. Reid, of Tabratong, N.S.W. The decorations were very handsome, consisting of palms, ferns and white flowers, forming arches and festoons everywhere. The bride and bridegroom stood under a beautiful string of wedding bells. The bride was given away by her brother, and wore a beautiful gown of rich pearl satin, deeply flounced with chiffon, and embroidered with pearls and ivory applique; court train, ruched chiffon. A spray of bridal blossom and heather draped the front of the skirt; the bodice was richly trimmed with chiffon and lace applique; sleeves of tucked chiffon. The tulle veil was caught with orange blossoms. The beautiful posey was composed of tiger lilies, azaleas and soft ferns. The two bridesmaids, Miss Violet Brodribb and Miss Evelyn Douglas, were smartly gowned in white muslin over white glace silk slips. The skirts were trimmed with flounces of muslin, edged with lace. The bodices were finished with deep lace collars of satin duchesse, tucked and edged with point lace. Fichus of muslin and lace were knotted, and the ends tucked into a satin belt at the side. Pretty toques of vieux rose velvet and black plumes were worn. They carried ebony canes, decorated with La France roses and autumn leaves. Gold chain bracelets, studded with turquoise and crystal, and blue enamelled hearts depending, were presented by the bridegroom. Mr. H. B. Paterson, of "Boorara," Queensland, acted as best man, and Mr. Gay Clark as groomsman. 17 Mar 1947, VIOLET CASEY. Formerly of "Windara" Upper Beaconsfield, and "Cleve" Berwick. But Late of Sims Street, Sandringham. All in Victoria, Widow, Deceased.-After 14 clear days Sydney John Casey, of "Coolringdon," Cooma, in New South Wales, grazier, the executor named in and appointed by deceased's will. dated the 26th day of July, 1935, will APPLY to the Supreme Court of Victoria for a grant of PROBATE of the said WILL. Dated this 14th day of March, 1947. [S5] Registry of Births Deaths and Marriages Death Index Victoria 1921-1985 "#D1654 age 81 [par John REID & Mary Edith SMALLMAN]." [S7] Registry of NSW Births Deaths and Marriages "#B4691 NSW." [S2] Registry of Births Deaths and Marriages Federation Index Victoria 1889-1901. [S5] Registry of Births Deaths and Marriages Death Index Victoria 1921-1985 "#D17758 age 79 [par Cornelius Gavin CASEY & Letitia GARDINER]." [S11] Newspaper - Argus 10 Feb 1947 p2. [S113] Electoral Roll for Australia, 1913. [S114] Electoral Roll for Australia, 1914. [S115] Electoral Roll for Australia, 1915. [S116] Electoral Roll for Australia, 1916. [S117] Electoral Roll for Australia, 1917. [S118] Electoral Roll for Australia, 1918. [S121] Electoral Roll for Australia, 1921. [S101] Electoral Roll for Australia, 1903 - 1980. [S14] Newspaper - The Australasian (Melbourne, Vic. ), Sat 25 Mar 1899, p46. [S14] Newspaper - Melbourne Punch, 30 Mar 1899, p19. [S14] Newspaper - Graphic of Australia (Melbourne, Vic), 31 Aug 1917, p29. [S14] Newspaper - Table Talk, 4 May 1922, p34. [S14] Newspaper - Australasian, 30 Sep 1922, p62. [S11] Newspaper - Argus 17 Mar 1947 p15. Marriage* 6 Apr 1937 Spouse: Isobel Emily 'Betty' Craig. [S8] Queensland Government Birth, Death & Marriage Indexes "#BC10169." [S11] Newspaper - Argus 1 May 1901 p1. [S14] Newspaper - Sydney Morning Herald 7 Apr 1937 p9. [S7] Registry of NSW Births Deaths and Marriages. [S137] Electoral Roll for Australia, 1937. [S168] Electoral Roll for Australia, 1968. Death-Notice* 15 Nov 1923 FISHER. On the 13th November at 61 Hawksburn road Hawksburn Thomas Clement Fisher, relict of the late Grace Matilda aged 57 years. Probate (Will)* 24 Jun 1924 195/890. Commercial Traveller. Hawksburn. The whole contrivance adds but 1lb. to the weight of the machine, and has been proved by actual experience to be effective and simple by a host of famous riders, including T. A. Edge of 1,000 mile fame, and such local experts as Geo. R. Broadbent, T. Clement Fisher, J. R. Cathie, and E. H. Lenne. The universal verdict is that it gives no trouble and does not get out of order, while many declare its invention to be second in importance only to that of the pneumatic tyre itself. 22 Aug 1900, Shire of Berwick. BEACONSFIELD RIDING. LADIES and Gentlemen T. CLEMENT, FISHER; Esq, having retired in favour of the candidature of GEORGE W MARTIN. 31 Dec 1910, FERTILISING POOR LAND. (These Pictures Show Crops Grown on Poor Soil with the aid of Fertilisers, on the Farm of Mr. T. C. Fisher, Goodrest, Upper Beaconsfield. View of Crop, Partly Cut. Stooks After Cutting. 31 Jan 1920, Father's OBITUARY. MR T. R. FISHER. The death occurred at his residence, St. Clair, yesterday morning of Mr Thomas Richard Fisher, who for many years occupied with conspicuous success tho position of general manager of tho Standard Fire and Marine Insurance Company. The late Mr Fisher was born in the year 1857 at Waltham Abbey, in the county of Essex, England, being the eldest son of the Rev. T. R. Fisher, and was educated at the Old Kingswood School. On leaving this institution he engaged in mercantile life, but in 1854 left the Old Country for Melbourne. Here he remained for a few months, coming to New Zealand, where he was soon after joined by his father and the rest of the family, the home being made in Christchurch. In the year 1861 he came to Dunedin, and carried on business as a merchant and auctioneer, but later, for health reasons, established himself at Nelson, relinquishing the business there at the decline of the West Coast boom. In the year 1877 he joined the Standard Insurance Company as manager at Christchureh, and three years later was appointed general manager, a position he held for over 32 years. He was a prominent figure in insurance affairs, and was the first president of the Fire Underwriters' Association, a post to which he was reelected on a number of subsequent occasions. Though his main energies were devoted to the success of the insurance business, the late Mr Fisher was identified with other concerns, being a director of the Milburn Lime and Cement Company and other institutions. He also interested himself in the work of the Amenities Society, any scheme for the adornment of the city finding in him an enthusiastic supporter. [S10] New Zealand Government Birth, Death & Marriage Indexes "1865/282 Fisher Thomas Clement [par Caroline & Thomas Richard]." Ancestry.com. New Zealand Birth Index, 1840-1950 [database on-line]. Provo, UT, USA: Ancestry.com Operations, Inc., 2014. Original data: New Zealand Birth Index, 1840–1950. Microfiche. [S14] Newspaper - Lyttelton Times (New Zealand), 13 Oct 1865, p3. [S10] New Zealand Government Birth, Death & Marriage Indexes "marriage #M1869/6417 Thomas Richard FISHER & Frances Annie HADFIELD." [S10] New Zealand Government Birth, Death & Marriage Indexes "#M3542 NZ BDM." [S14] Newspaper - Otago Witness (New Zealand), 16 Jan 1886, p17. [S185] Property Titles. ; PROV (Public Records Office Victoria), C/T 1105-922 + C/T 1100-820-822 + C/T 1098-541 - Thomas Clement Fisher, of Upper Beaconsfield, Gentleman. [S185] Property Titles. ; PROV (Public Records Office Victoria), C/T 1278-459 + C/T 1117-293 + C/T 1278-460 + C/T 1407-281 + C/T 1407-282 - Thomas Clement Fisher of "Goodrest" Upper Beaconsfield Gentleman. [S185] Property Titles. ; PROV (Public Records Office Victoria), C/T 1105-922 + C/T 1100-820-822 + C/T 1098-541 - John Leppitt of Dandenong Farmer - C/T 3036-135. [S185] Property Titles. ; PROV (Public Records Office Victoria), C/T 1278-459 + C/T 1117-293 + C/T 1278-460 + C/T 1407-281 + C/T 1407-282 - John Leppitt of Dandenong Farmer - C/T 3036-135. [S185] Property Titles. ; PROV (Public Records Office Victoria), C/T 1210-973 - The English Scottish and Australian Chartered Bank to Thomas Clement Fisher of Goodrest Upper Beaconsfield Gentleman. [S185] Property Titles. ; PROV (Public Records Office Victoria), C/T 1213-426 + C/T 1194-689 - Robert Sparrow Smythe to Thomas Clement Fisher of "Goodrest" Upper Beaconsfield Gentleman. [S185] Property Titles. ; PROV (Public Records Office Victoria), C/T 1213-463 - Charles Edward Warren to Thomas Clement Fisher of Upper Beaconsfield Gentleman. [S185] Property Titles. ; PROV (Public Records Office Victoria), C/T 1824-673 - James Elliss Corbett to Thomas Clement Fisher of "Goodrest" Upper Beaconsfield Grazier. [S185] Property Titles. ; PROV (Public Records Office Victoria), C/T 1213-426 - Thomas Clement Fisher to Louisa Jane Bevan of Parkin College Adelaide South Australia, Married Woman, and Hester Gwladys Hurditch of Upper Beaconsfield, Married Woman as tenants in common in equal shares - C/T 3736-059 (consolidated). [S4] Registry of Births Deaths and Marriages Great War Index Victoria 1914-1920 "#D3467 age 51 [par James McKenzie MACKINTOSH & Elizabeth]." [S5] Registry of Births Deaths and Marriages Death Index Victoria 1921-1985 "#D16814 age 57 [par Thomas Richard FISHER & Catherien CLEMENCE]." [S11] Newspaper - Argus 15 Nov 1923 p1. [S103] Electoral Roll for Australia, 1903. [S105] Electoral Roll for Australia, 1905. [S108] Electoral Roll for Australia, 1908 "as Clement FISHER." [S109] Electoral Roll for Australia, 1909. [S112] Electoral Roll for Australia, 1912. [S119] Electoral Roll for Australia, 1919. BAPTIST, MONUMENTAL, COMPARTMENT A GRAVE 20A. [S14] Newspaper - Lyttelton Times (New Zealand), 5 Jun 1861, p4. [S10] New Zealand Government Birth, Death & Marriage Indexes "marriage #M1861/3496 Thomas Richard FISHER & Caroline CLEMENTS." [S14] Newspaper - The Champion (Melbourne), 7 Nov 1896, p6. [S14] Newspaper - The Champion (Melbourne), 28 Nov 1896, p10. [S14] Newspaper - The Champion (Melbourne), 5 Dec 1896, p10. [S14] Newspaper - Melbourne Punch, 11 Mar 1897, p18. [S14] Newspaper - Melbourne Punch, 24 Jun 1897, p8. [S14] Newspaper - Press (New Zealand), 24 Jun 1897, p2. [S14] Newspaper - Melbourne Punch, 6 Jan 1898, p18. [S14] Newspaper - Border Watch (Mount Gambier), 28 May 1898, p3. [S14] Newspaper - Melbourne Punch, 2 Jun 1898, p26. [S14] Newspaper - Melbourne Punch, 25 Aug 1898, p26. [S14] Newspaper - Otago Daily Times (New Zealand), 12 May 1899, p7. [S12] Newspaper - South Bourke and Mornington Journal 22 Aug 1900, p2. [S14] Newspaper - Leader (Melbourne), 31 Dec 1910, p32. [S14] Newspaper - Otago Daily Times (New Zealand), 31 Jan 1920,p13. Death-Notice* 10 Jun 1950 STAPLEDON. - On June 9, at his home, Netherby, St. Georges Road, Upper Beaconsfield. James, the dearly loved husband of the late Bessie Stapledon, and loving father of Henry John and Murray James (deceased), aged 88 years. Mr. James Stapledon, 88, of “Netherby”, St. George’s Rd., Upper Beaconsfield. Annie Stenhouse, of “Pen bryn”, Upper Beaconsfield. 22 Jun 1950, LAW NOTICES. JAMES STAPLEDON Late of Netherby, Upper Beaconsfield in Victoria, Gentleman. Deceased - After fourteen clear days Harry John Stapledon formerly of Warra, Glenorchy in the said State but now of Netherby Upper Beaconsfield aforesaid, grazier, one of the executors named in and appointed by the deceased's will bearing date the 8th day of December, 1949 will APPLY to the Supreme Court of Victoria for a grant of PROBATE of the said Will. Charles Churchill Palmer the other executor named in and appointed in the said Will, having renounced probate thereof. Dated this 20th day of June, 1950. [S9] Free BMD. Index. Online @ https://www.freebmd.org.uk/. [S80] Ancestry - Family Tree, hurdowar (rosilynkay) Owner: rosilynkay. [S14] Newspaper - The North Devon Journal (Devon, England), 21 Aug 1884, p8. [S36] Inward & outward passenger lists to and from Victoria. Series: VPRS 14; 7666; 7667; 7786); PROV (Public Records Office Victoria). [S190] Index to Probate Calendar England, viewed at ancestry.com.au, 1858-1966. [S185] Property Titles. ; PROV (Public Records Office Victoria), C/T 5796-173 - James Stapledon of 'Netherby' Upper Beaconsfield Gentleman. [S185] Property Titles. ; PROV (Public Records Office Victoria), C/T 5543-431 -James Stapledon of "Netherby" Upper Beaconsfield Gentleman. [S185] Property Titles. ; PROV (Public Records Office Victoria), C/T 5827-343 - James Stapledon of 'Netherby' Upper Beaconsfield Gentleman. [S11] Newspaper - Argus 10 Jun 1950, p12. [S185] Property Titles. 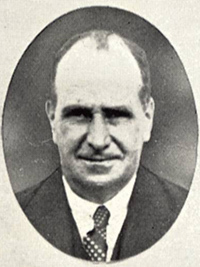 ; PROV (Public Records Office Victoria), C/T 5796-173 - James Stapledon died on 9th June 1950. Probate of his will has been granted to Henry John Stapledon of "Netherby" Upper Beaconsfield Grazier. [S185] Property Titles. ; PROV (Public Records Office Victoria), C/T 5796-173 - Henry John Stapledon of 'Netherby' Upper Beaconsfield Grazier. [S185] Property Titles. ; PROV (Public Records Office Victoria), C/T 5827-343 - Henry John Stapledon of 'Netherby' Upper Beaconsfield Grazier. [S185] Property Titles. ; PROV (Public Records Office Victoria), C/T 5543-431 - Henry John Stapledon of "Netherby" Upper Beaconsfield Grazier. METHODIST, MONUMENTAL, COMPARTMENT F SECTION 4 GRAVE 30. [S11] Newspaper - Argus 31 Oct 1945 p17 also 3 Nov 1945 p25. [S11] Newspaper - Argus 20 Oct 1948, p18. [S11] Newspaper - Argus 22 Jun 1950, p20. [S35] Probate Records, PROV (Public Records Office Victoria), VPRS 28/P4, unit 1656; VPRS 7591/P3, unit 226. [S63] South Australian Government. BDM Index South Australia. [S6] Registry of Births Deaths and Marriages Marriage Index Victoria 1921-1942. [S11] Newspaper - Argus 13 Jul 1921 p1. [S5] Registry of Births Deaths and Marriages Death Index Victoria 1921-1985 "#D4237 age 36 [par James PRICE & Mary Jane GRAVES]." [S70] John Bellair, The Story of Applecross, places Stapledons on St Georges Road. [S11] Newspaper - Argus 10 Jun 1950 p12. [S185] Property Titles. ; PROV (Public Records Office Victoria), C/T 5796-173 - Henry John Stapledon died on 27th June 1958. Probate of his will has been granted to Alan Robert Lobban of 120 William Street Solicitor. [S185] Property Titles. ; PROV (Public Records Office Victoria), C/T 5543-431 - Kathleen Henrietta Esther Stapledon of "Netherby" Upper Beaconsfield Widow - C/T 8370-481. [S185] Property Titles. ; PROV (Public Records Office Victoria), C/T 5796-173 - Kathleen Henrietta Esther Stapledon of 'Netherby' Upper Beaconsfield Widow. [S185] Property Titles. ; PROV (Public Records Office Victoria), C/T 5827-343 - Kathleen Henrietta Esther Stapledon of 'Netherby' Upper Beaconsfield Widow. [S149] Electoral Roll for Australia, 1949 "also Murray James & Henry Bruce STAPLEDON both graziers." METHODIST, MONUMENTAL, COMPARTMENT F SECTION 4 GRAVE 28. [S11] Newspaper - Argus 20 Jul 1923, p8. [S11] Newspaper - Argus 8 Dec 1928 p28. [S11] Newspaper - Argus 15 Jul 1933 p13. [S80] Ancestry - Family Tree, Walduck Family Tree. [S185] Property Titles. ; PROV (Public Records Office Victoria), C/T 1860-846 - Blanche Atkins to Grace Matilda Fisher wife of Thomas Clement Fisher of Upper Beaconsfield Gentleman. [S185] Property Titles. ; PROV (Public Records Office Victoria), C/T 1860-846 - Grace Matilda Fisher to Louisa Jane Bevan of Parkin College Adelaide South Australia, Married Woman, and Hester Gwladys Hurditch of Upper Beaconsfield, Married Woman as tenants in common in equal shares - C/T 3736-059 (consolidated). [S11] Newspaper - Argus 23 Feb 1914 p1. VPRS 7591/ P3 unit 265, item 542/161. [S2] Registry of Births Deaths and Marriages Federation Index Victoria 1889-1901 "#B23650." [S4] Registry of Births Deaths and Marriages Great War Index Victoria 1914-1920. [S11] Newspaper - Argus 16 Mar 1918, p13. [S22] Victorian Government. BDM Index Victoria (online). [S185] Property Titles. ; PROV (Public Records Office Victoria), C/T 7291-020 - Percy Gordon Fisher of 217 Dandenong Road Windsor Estate Agent. [S66] Berwick Shire Rates, 1870-1965 1949: 2ac pt C-30 11/12/1950 for £530 NAV22. [S185] Property Titles. ; PROV (Public Records Office Victoria), C/T 2967-228 - Percy Gordon Fisher of 217 Dandenong Road Windsor Estate Agent - C/T 7724-096. [S185] Property Titles. ; PROV (Public Records Office Victoria), C/T 7724-096 - Elsie Agnes Walshe of Upper Beaconsfield Married Woman - C/T 7835-090 transfer No 2493429. [S185] Property Titles. ; PROV (Public Records Office Victoria), C/T 4905-804 - Percy Gordon Fisher of 87 Greville Street Prahran Agent - C/T 7794-188. [S185] Property Titles. ; PROV (Public Records Office Victoria), C/T 7724-096 - Gordon Walshe of Upper Beaconsfield Carpenter - C/T 8042-648 - transfer No 2552420. [S185] Property Titles. ; PROV (Public Records Office Victoria), C/T 7291-020 - Mabel Grace berriman of 144 Power Street Hawthorn Widow. [S66] Berwick Shire Rates, 1870-1965 purchased from Fisher on 23 May 1952. [S185] Property Titles. ; PROV (Public Records Office Victoria), C/T 7794-188 - Percy Gordon Fisher to Francis Robert Young, painter and Beryl Lillian Young, Married Woman both of 112 Dandenong Road Dandenong - joint proprietors. by 1961 notices to National Trustees Queen Street co-acting as attorney under power 18/10/1962 N29. [S5] Registry of Births Deaths and Marriages Death Index Victoria 1921-1985 "#D12017." [S126] Electoral Roll for Australia, 1926. [S131] Electoral Roll for Australia, 1931. [S154] Electoral Roll for Australia, 1954. [S11] Newspaper - Argus 1 Sep 1913, p14. [S14] Newspaper - The Prahran Telegraph, 27 Jan 1917, p6. [S11] Newspaper - Argus 19 Jul 1937, p10.